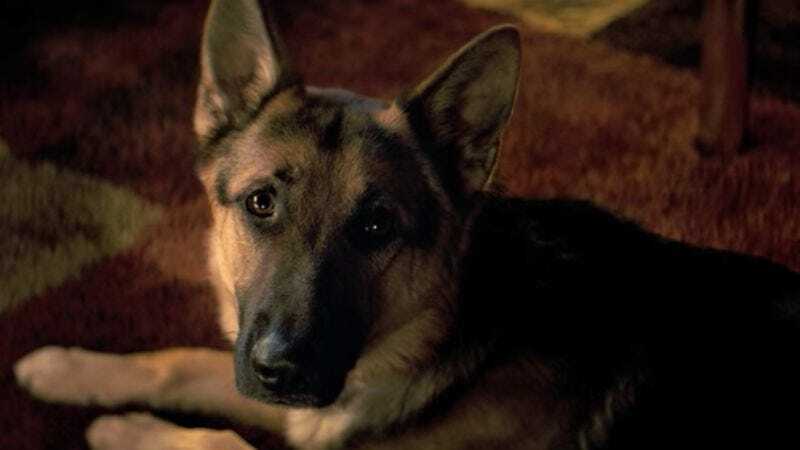 The humans behind A Dog’s Purpose are responding to the upsetting footage released yesterday, showing a seemingly frightened German Shepherd being forced into turbulent water to film a scene. Both director Lasse Hallström and actor Josh Gad have expressed their own dismay and concern over the leaked video, which casts an unsavory light on a movie that’s meant to celebrate the bonds between people and their pets. Gad, who gives voice to the dog’s inner monologue as he’s reincarnated through various breeds, was never on set, so he says he also learned about the incident after the fact. “As the proud owner of a rescued dog and a fervent supporter of organizations like PETA, I have reached out to the production team and ask for an explanation for these disturbing images,” Gad tweeted. In the wake of the footage, the American Humane Association says it suspended the on-set representative tasked with ensuring no animals were harmed. Meanwhile, PETA has already called for a boycott of the movie still slated for release on Jan. 27. As Variety reports, Amblin Entertainment and Universal Pictures are defending their project by stressing that the dog in question, Hercules, is “happy and healthy,” adding, “There were several days of rehearsal of the water scenes to ensure Hercules was comfortable with all of the stunts. On the day of the shoot, ‪Hercules did not want to perform the stunt portrayed on the tape so the Amblin production team did not proceed with filming that shot.” Though the brief footage certainly doesn’t tell the full story, it does appear that Hercules was coerced into performing the stunt, which features prominently in the movie’s trailer. The film’s producer, Gavin Polone—a vocal animal rights activist—has told Deadline that he is “horrified by this,” placing the blame on the actions of the second-unit crew and the AHS rep, while adding, “I know the studio is outraged and investigating this.” That inquiry appears to be centered on animal supplier Birds & Animals Unlimited, a company that’s worked on scores of films ranging from The Hangover to Marley & Me. It was also previously the subject of an undercover investigation by PETA that the organization says exposed numerous examples of animal neglect and cruelty. Birds & Animals Unlimited has yet to respond to this latest incident. Its website has been offline since yesterday.